The children’s rosary group is run by a willing parishioner, who joins the children at lunch time on Wednesdays to pray the rosary. Year 3 children enjoy a special focus in the rosary group as they prepare for their First Holy Communion in their respective Parishes. There is a dance club for children in Years 1 and 2 on Tuesday mornings from 8.00 – 8.40 am. Children are taught routines and perform at school events and enter the annual Dance Challenge at the Princes Hall. Dance Club for Key stage 2 children runs on Wednesday mornings from 8.00 – 8.40 am. Mrs Carty runs this club and the children learn routines to perform at school events and enter the annual Dance Challenge at the Princes Hall. CM Sports (http://www.cm-sports.co.uk/) runs a Key Stage 2 Football club on Tuesday evenings from 3.30 – 4.40 pm and a Key Stage 1 Football club on Thursday evening 3.30pm – 4.40pm. clubs must be signed up to in advance on the CM Sports website. Please bring suitable clothing for warm weather conditions, trainers (football boots are an option but are not essential), and a non-fizzy drink. Courses will run regardless of weather conditions as indoor facilities are available. CM Sports also run a Multi Skills Club on Wednesdays after school 3.30pm – 4.30pm. 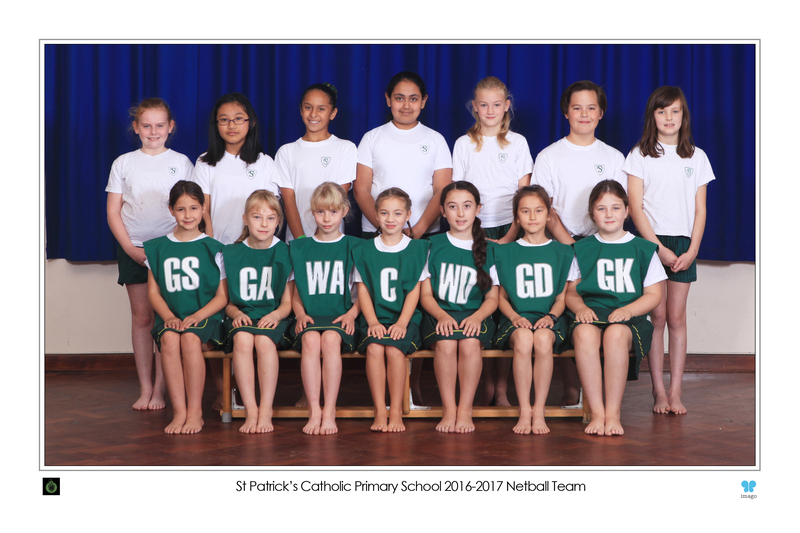 This club allows children to participate in sports sessions with the emphasis placed on enjoyment especially for KS1 pupils. KS2 courses are delivered in a more structured way focusing on the development of technique and skill. After school sessions are staffed with a minimum of two coaches allowing children to learn in a safe, structured and fun environment. 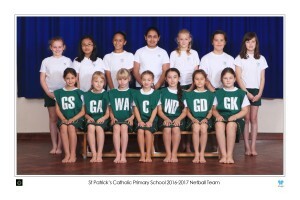 A netball club is run by school staff on Tuesday evenings at various points through the year. 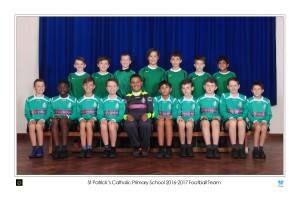 A football club is run by school staff on Monday evenings at various points through the year. 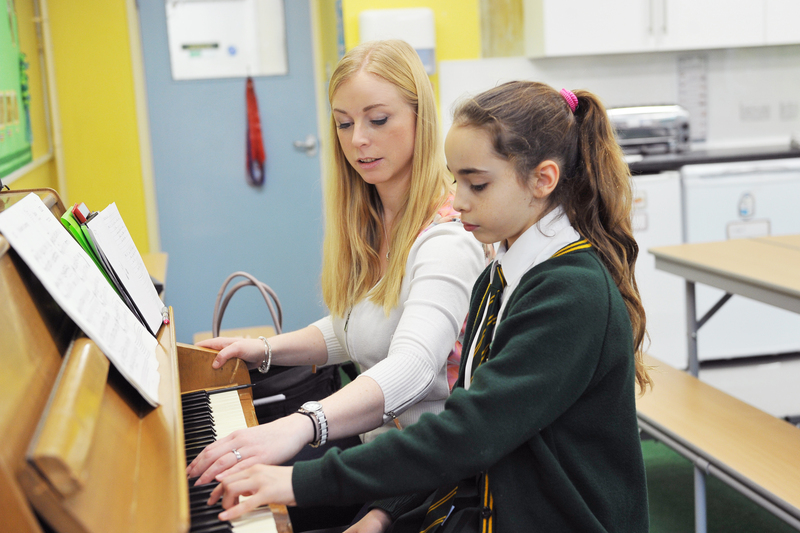 Music at St Patrick’s is a vibrant and lively subject, taught by an outside specialist company once a week. 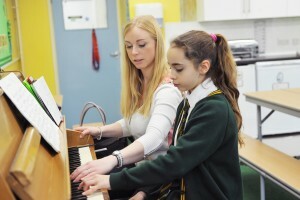 All Key Stage 2 children also have the opportunity to learn woodwind, guitar, ukulele and piano with our peripatetic staff. Children also have singing lessons twice a week: once as a Key Stage and once as a whole school community. The Choir is run by Miss Hodge and Mrs Livingston Payne. This club runs on Mondays after school when there are upcoming events. St Patrick’s has an active school choir which is open to children from Year 3 onwards. As well as providing music within the parish during school and SVP masses, the children also have the opportunity to sing at various events. Fitness Club is one of our most popular clubs. It is run by Mrs Mumford in the summer term on Fridays, finishing with a 1K race! No matter the child’s fitness level this is a great way for them to get more exercise and have fun while doing it. Homework Club is run by Mrs Mulholland Thursdays. This is an opportunity for the children to get their homework done with the help of the teaching staff, LSA’s, laptops and reference books. There are also small sessions run with the teacher for boosting Maths or English.